A controversial new development that could open up east Leeds to years of road construction and house building was approved this afternoon by Leeds city councillors. Approval? Let’s call it 95% approval. The plans approved in principle today mean that the Thorpe Park business park on the outskirts of the city has got permission to extend its offer from mainly office space to include restaurants, hotels, a gym and shops, including a large supermarket. What they also mean (you can read the background here) is that a proposed new dual carriageway for east Leeds – the East Leeds Orbital Road – finally looks like a realistic proposition. And along with (and around) the road will come 6,000 new homes – homes that the council says need building to keep up with the city’s population growth. So. Pretty much as expected. A development that looked like it couldn’t be refused got the go-ahead. Stop John Lewis going ahead in Leeds? They wouldn’t … would they? Because there are still two flies buzzing about in the ointment – Hammerson, the developers of the forthcoming Victoria Gate retail and leisure development in Leeds city centre, and John Lewis, the Victoria Gate’s anchor store. 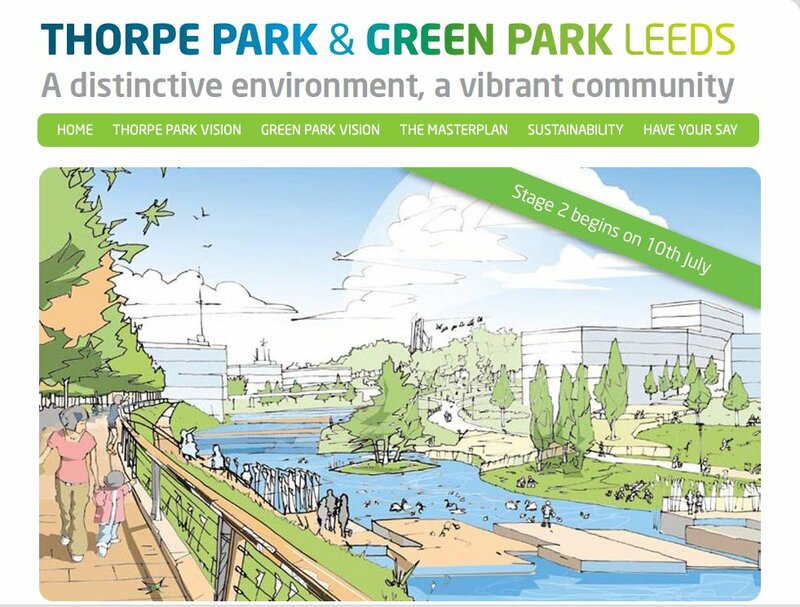 In an 11th hour letter to the council they repeated their objections to the Thorpe Park scheme: the plans for retail on the park went against council and national planning policy and not enough consideration had been given to the likely negative impact on the city centre, they said. Arguably unlawful? Call into question the Victoria Gate scheme? “Would that (approval) stop John Lewis going ahead in Leeds?” one of the councillors asked the Hammerson/John Lewis representative. Was it bluster? Did anyone know? Would they take the risk and ignore it? A last-minute compromise was suggested to councillors by the council’s chief planning officer (isn’t planning all about compromise between vested interests? ): why don’t we accept the Thorpe Park scheme in principle now, and then hold talks with John Lewis, Hammerson and the Thorpe Park applicants to see if we can come up with some new conditions about the retail side of the scheme that would give further protection to the planned investment in Victoria Gate in the city centre? All those in favour? Carried. And that’s where they left it. They’ll hold those talks next week and then councillors will vote on whatever emerges at a meeting next Thursday – when they’ll also be discussing … guess what? 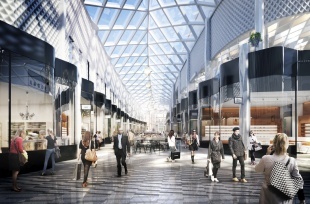 … the Hammerson/John Lewis Victoria Gate scheme. This entry was posted in Uncategorized and tagged east leeds orbital road, ELOR, hammerson, john lewis, leeds, leeds city council, thorpe park, victoria gate leeds. Bookmark the permalink. And they call this ‘development’…. LCC appear to be ” steam rolling” through the Thorpe Park @ any cost primarily to get nee link road paid for by developers?? Cross Gates is full of Charity Shops Betting Shops , yet another opened yesterday!! & empty premises. Garforth not much better.Thorpe Park will not create new jobs will employ people who have lost their job in X Gates!! Lets make Cross Gates the ” new ” Chapel Allerton by investing in this area instead of Allowing Thorpe Park to develop to such s huge extent. Please do NOT hamper the chance of John Lewis coming to Leeds on any account! Doesn’t hammerson keep saying the Victoria gate development is up market and will cater for a different customer to the new Trinity centre?? Fancy handbags and the like?? 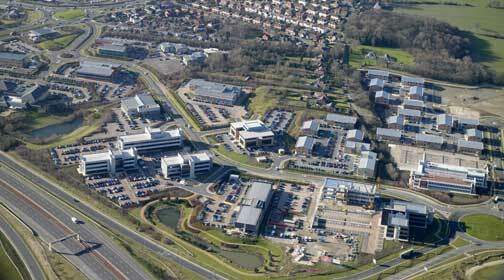 If so how does another retail park with all the usual suspects compete with them?? They can’t have it both ways… tell me am I missing something regards the hammerson challenge? ?